The new Collier knot is perfect for hot summer days and warm and humid climates, as the scarf barely touches the skin, and the neck is left free of fabric. 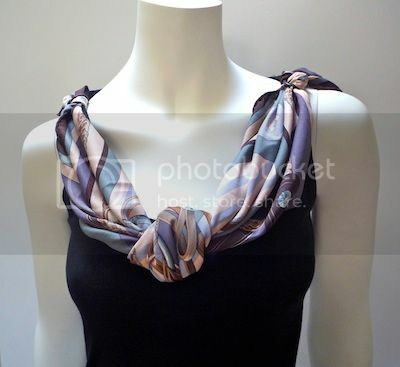 Scarf rings give this a neat and finished look, but you can also secure the scarf to the top with a small double knot. 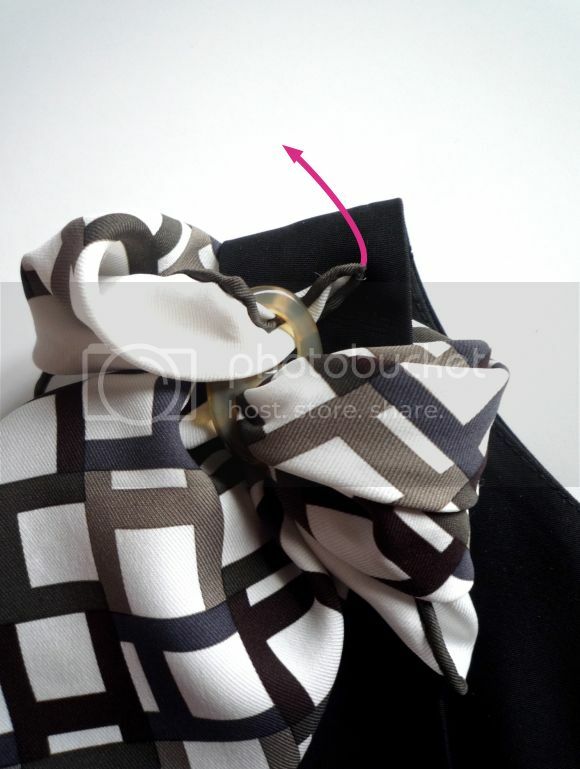 On cooler days, one can wear the scarf closer to the neck, and tie both ends into a small double knot behind the neck. For more variations, one can make the basic bias fold narrower or wider, or pull the knot in the middle tighter or looser. 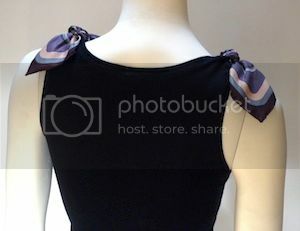 Or, try shorter or longer ends, depending on the neckline of your top/dress. Wonderful, Mai Tai! On holiday with the family in Provence and I now wish I'd brought a silk with me to try this lovely look - perfect for dinner on a hot evening. It has been too hot for most of our clothes, the children survive with multiple dippings in the pool whilst I enjoy a shady corner with a pile of good books with a retreat to the water from time to time! 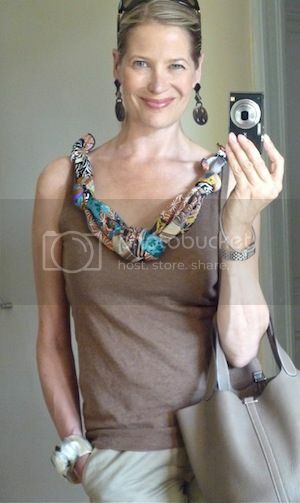 Looking forward to the turquoise waterfall necklace plus bracelet on my return this weekend. Enjoy your holidays, dear Catharine! Your activities sound very similar too mine ;-) The Collier knot could of course be a perfect excuse to nip into H, LOL. Stay cool, and have a safe trip back home. MaiTai, this is genius. We have probably had our summer, judging by the leaves falling at a rapid pace, but I shall come back to this knot when there is a chance. It would look great with a simple choker but otherwise no jewellery required. Thank you so much for sharing. Many thanks, dear Bienchen. I thought of the knot in spring, and then nearly forgot. The recent heatwave brought it back into memory, and I finally worked out the details. Hope you'll have a few more sunny days to come, and a golden autumn ahead. Marvelous, marvelous! I'm certainly trying this. Upon moving to an incredibly hot part of the United States, I've sadly seen my scarves languishing in their cabinet. Perhaps this will help me wear them more often. Now I understand about the two scarf rings. What a wonderful way to wear a scarf in the warm weather. I will be experimenting over the bank holiday! What a fabulous idea!!! Love it, my dear MaiTai. The perfect solution for hot days indeed! Your fantasy has no end and I am so grateful that it doesn´t. Thanks for this idea - this knot is the only one I can use in the summer with no regrets. The experimental laboratory on my side is to state that the knots shall be done with scarf rings, otherwise they look messy (if knotted without scarf rings). 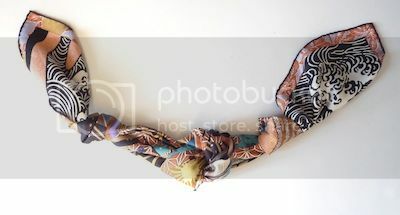 I tried a 90 carre with a bigger chest knot and moyenne scarf rings (with the scarf ends falling a little bit longer on the back) and I also liked it - I would say, nice for the evening, has a glamorous touch and more silk in it. Thanks again. Absolutely brilliant, MaiTai! Such a very clever way of adding a little touch of H on hot days. It's been said before, and is true: Nobody does H like MT. 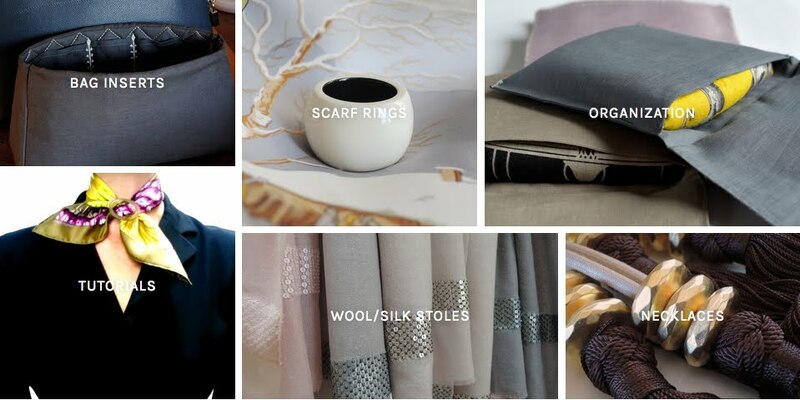 I think I'll put off ironing and enjoy some play time with my scarves! Again, so brilliant, dear MaiTai. I'm in awe of your talent. Sheer genius!! 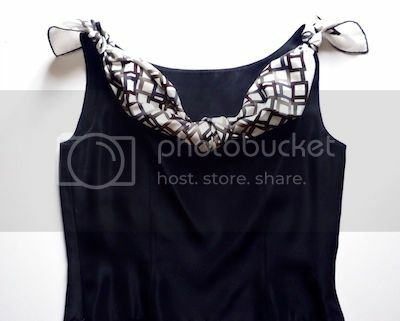 Just the thing to change the look of a simple black sheath dress or even a simple black tank top! I can use this on my upcoming trip. Love you Tai! What a wonderful idea - it's so elegant and practical at the same time. Thank you for this wonderful idea! Cannot wait to try this very soon (since summer is still so hot in Texas)!! Thank you for another wonderful idea! Can't wait to try this with a number of simple, summer, sheath dresses I regularly wear. 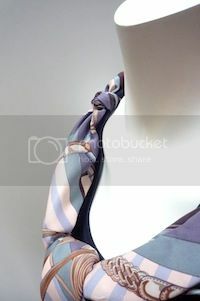 I only own one 70cm silk scarf, but will try it with my 70cm cotton as well (my much loved "L'Ile Aux Tortues"). Many thanks again! Hello again! I had assumed this would work best using a 70, but now wonder, is your first example shown using a 90cm? 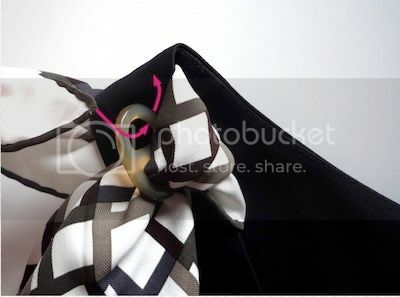 NiniKnows, the first knot is also done with a 70 Carré. I did a loose and wide basic bias fold, and a big and loose middle knot. This is exceptionally brilliant, MT!! I have a suggestion to take it to super exceptionally brilliant (unless you mentioned this and I missed it): at the shoulders, loop the ends UNDER your bra straps and tie them along with the top. Keeps those pesky straps under-wraps where bra straps belong! This is wonderful. I'm in New Orleans and it is hot and steamy here. 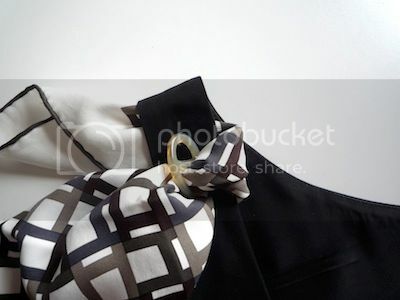 I can't wait to dress up my basics with this collier knot. I just found your site a few weeks ago and I have enjoyed it so much. Thanks for all the great ideas. 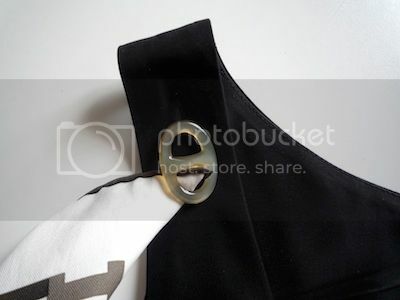 With a 90 carre, one could let the front knot hang lower, tie perhaps three knots to take up more fabric, and/or have the "tails" longer in back, for a bit different look. Elaine"s super exceptionally brilliant idea is indeed that. I agree, this is a wonderful look and I am very impressed with your creativity and elegance! It really does look stunning. I am behind in commenting but just wanted to say that I loved your previous posts as well. It is always lovely to travel with you via your blog and Finland is somewhere I have never been but I can see that I'll have to add it to my list of places to visit. 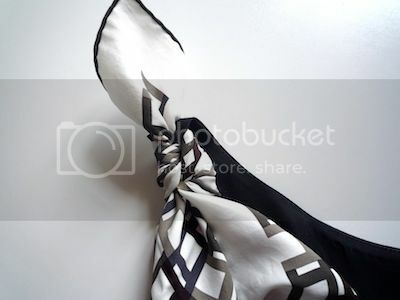 Your wonderful video of your new scarf was beautiful too and so professional. I love the colours and can't wait to see how you'll wear it! Your twilly post was so delightful and charming too! Beth, Pamela and Melusine, thanks so much! Beth, a very warm welcome to you, hope you’ll continue to enjoy it here. Melusine, welcome back! Hope you had a most wonderful time away. Many thanks for the lovely comments on the previous posts, and hope time will allow for a drink at the TB one day soon. This is a great idea!! I've been lurking for a very long time and this is my first time response :) I love your scarves but have never really thought they would work on me as anything close to my throat creates a gag reflex. This one, however, will work nicely. Thanks for sharing. I tried the knot with my new scarf over the weekend and loved it! 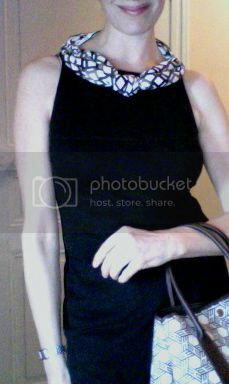 Very chic, definitely upleveled the plain sleeveless top i wore, and best of all lets me wear my beautiful new silk even before the summer ends. Thank you for all your wonderful suggestions! It's very wonderful for the summer!!! Mai Tai, you're a genius!!! Hello Suzanne, and welcome to our little chat corner :-) Very glad this knot works for you, and with more variations to come, I hope you’ll find a few more ways to experiment with. Dear KBG in DC, your feedback is much appreciated, so happy to hear the knot was a success. Congrats on your new silk! 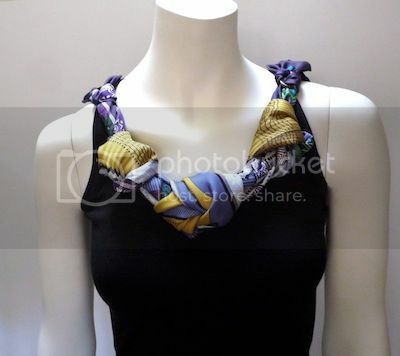 I must be missing a step when I attempt the Collier knot, as the scarf ring does not end up hidden, as you show in your photos and the scarf easily comes undone froth dress. Do you have a video of this? Plus, I want to tell you how much I enjoy your scarf rings. This is the first time I have come across mother of pearl scarf rings that are smooth throughout and do not snag or catch the scarves. So happy you are pleased with your scarf ring, many thanks for the kind feedback! Re the collier knot, I am very sorry, but I don't have a video. Please don't give up though. Instead, follow the exact steps as shown in the photos above (you can practice on a flat surface first). 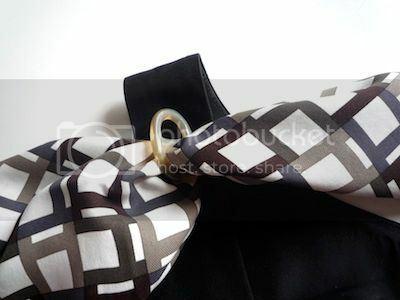 If done correctly, the knot is absolutely tight and secure, and you won't see the scarf ring. 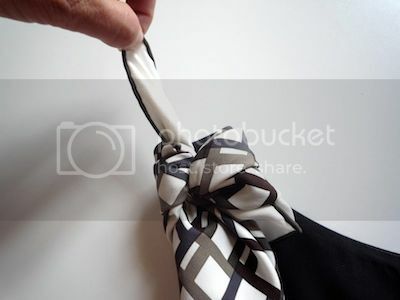 Tip: picture #4 in the how-to shows the crucial step.. you need to feed the scarf through the scarf ring coming from ABOVE (the natural instinct is to feed it straight through). Hope this helps, and wishing you the best of luck!